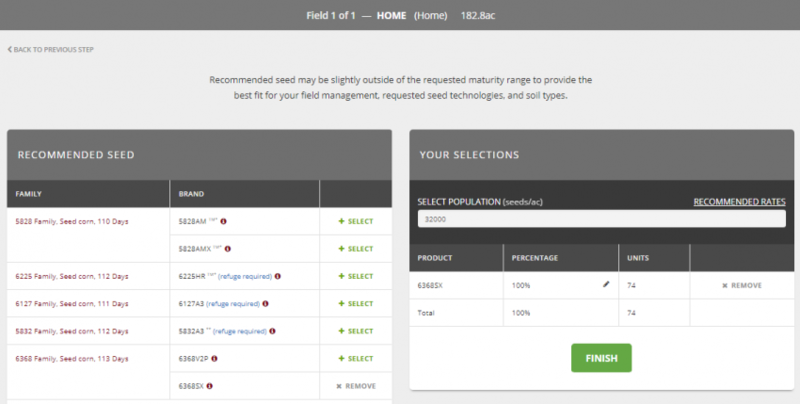 Category Archive for: "Seed Selection"
Planning for a new crop includes choosing the correct corn hybrid and soybean variety for your fields. To help with this process, Beck’s worked with the Product Team to develop the Seed Selection Tool as part of the FARMserver software. © 2018 FARMserver. All rights reserved.